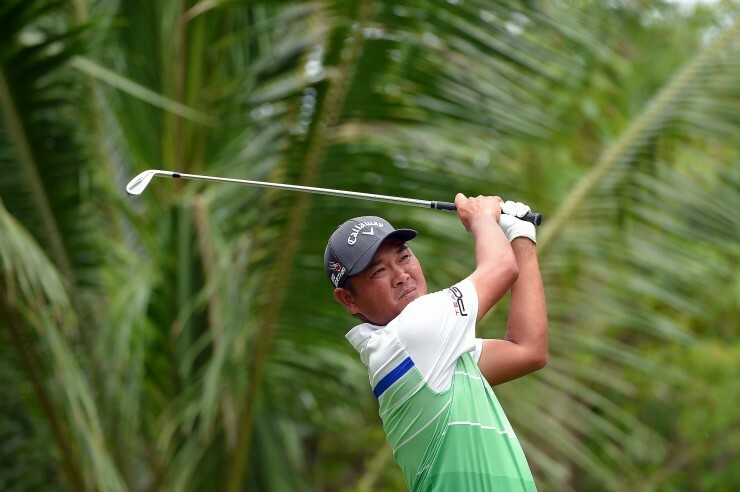 Danny Chia will make his fourth appearance at the CIMB Classic next month after earning his place in the prestigious tournament as the highest ranked Malaysian on the Official World Golf Ranking as of September 30, 2015. The Malaysian veteran will join countryman Ben Leong, who earlier qualified for the US$7 million event by winning the SapuraKencana National Qualifier in August. Chia was delighted to qualify for the CIMB Classic which has attracted top names such as Major champion Adam Scott of Australia, Henrik Stenson of Sweden, Sergio Garcia of Spain and current Asian Tour Order of Merit leader Anirban Lahiri of India. “It feels good to qualify for the CIMB Classic which will have a strong field. I will give it my best in front of my home fans,” said the 42-year-old Chia. Chia missed the 2013 CIMB Classic, which is sanctioned by the PGA TOUR and Asian Tour, due to an injury which forced him to undergo a shoulder surgery. Since then, the Malaysian has enjoyed a good run of form which includes winning the PGM Bukit Jawi Championship on the Asian Development Tour (ADT) a fortnight ago. He also didn’t qualify for the inaugural event in 2010. “I’ve put in a lot of work in my physical training and I’m very happy with my recovery. I’ve been working a lot on my game and I’ve been doing quite well,” said Chia. “I felt bad when I didn’t play in the CIMB Classic in 2013. If you play well then you deserve to play in the CIMB Classic. To be honest, I didn’t really check on my Official World Golf Ranking position this year because I knew I needed to do my job on the golf course. If I do a good job then I will qualify. if not I’ll watch from the side lines,” he explained. Chia enjoyed his best result in the 2011 edition when he finished tied 13th and aims to repeat or better his performance when he tees off at the Kuala Lumpur Golf and Country Club from October 29 to November 1. “Finishing tied 13th in 2011 is one of my career highlights. There’s a strong field again this year so hopefully I will play good enough to be paired with the top players. It is always a challenge playing in KLGCC because the course is favourable for long hitters. “I’ve lost some distance after coming back from my surgery so I need to come out with a different but good strategy on the course. I will work hard on my game and hopefully have a good week,” said Chia, who is currently ranked 342nd in the world.